Rubies are classic and have been adored by people all over the world for centuries. Used for coronations of kings in England, Rubies are historically associated with royalty – the red hue commands feelings of power, wealth, and protection. The stone has come to be adored by royal families for centuries since. Colour is a significant characteristic of Rubies. The colours of Rubies range from pinkish to blood red, the deep blood red being the most valuable. 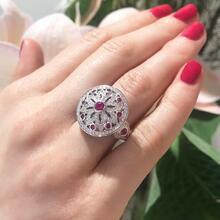 Our Ruby and Diamond Cluster Ring showcases the vibrant colour of the Ruby. 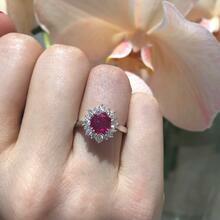 The ring features a 1.06 carat pink Ruby surrounded by Round Brilliant Cut Diamonds. The White Gold setting enhances the brilliance of the Ruby, creating a divine cocktail ring with a sophisticated hint of glamour. The rarity of the stone and the strong presence of Chinese consumers in Australia make the blood red Ruby a popular colour choice in the Australian market – in Chinese culture, red is a symbol of good luck and fortune. However, with the increasing popularity of pink gemstones such as Morganite, Tourmaline, and Argyle Pink Diamonds, pink Rubies are also a popular choice among Australians. Our Ruby and Diamond Dress Ring is a gorgeous piece that features light pink Rubies and intricate diamond detailing. 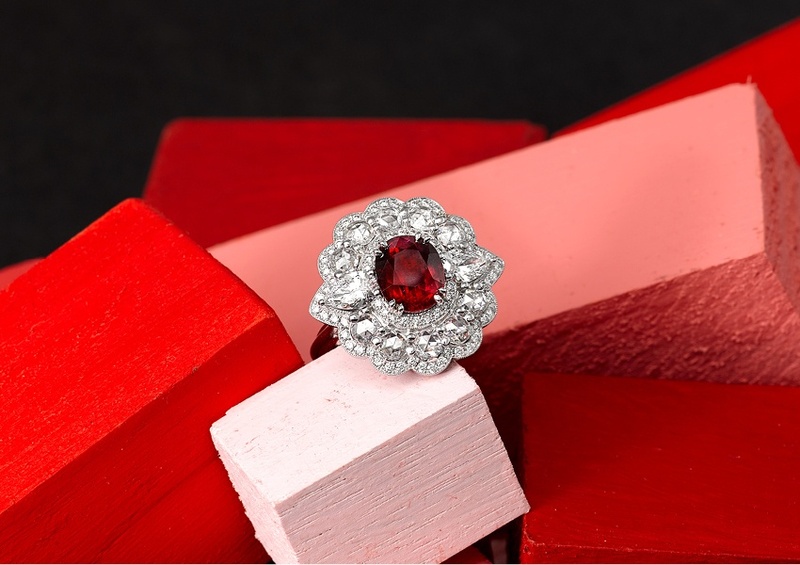 The ring features 0.90 carat Round Brilliant Cut Diamonds and 0.75 carat Rubies, set in 18 carat White Gold. It’s an eye-catching piece that will stun on any finger. A vital factor to look out for when purchasing a Ruby is whether or not the stone has been heat treated. Most Rubies today are heat treated to develop or intensify the Ruby’s natural colour and improve clarity. 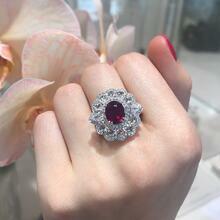 Unheated Rubies are rarer, naturally more vibrant and superior in quality. They’re recognizable by their natural inclusions, which include intact, fine silk needles, Boehmite needles, fingerprint inclusions, straight or angular zoning or banding, and intact two-phase inclusions. These inclusions can be seen under a microscope, and their presence will signify that your Ruby has not been heat treated. Setting a stunning example of the vibrancy of unheated Rubies, our Ruby and Diamond Imperatrice Ring features an incredible 3.062 carat unheated red Oval Ruby from Mozambique, surrounded by almost 2 carats of dazzling diamonds. Whilst this stunning Ruby was sourced from Mozambique, vibrant Rubies can also be found in many other locations around the world too including, Tanzania, Mozambique, Myanmar, Thailand, Cambodia, Afghanistan, India, Colombia, Japan and Namibia. To view and try on our collection of elegant and opulent Ruby pieces, contact the boutique to arrange a consultation today.